Privacy advocates claim snooping component was activated within Chromium, potentially exposing private conversations. Privacy advocates are accusing Google. Privacy advocates and open source developers claim over the secret installing of Google software which is capable of listening in on conversations held in the surrounding environment. It seems that the listening component was involuntarily activated within Chromium and represent a serious threat for the users privacy. Chromium is the open-source web browser project from which Google Chrome draws its source code, an open source developer discovered that it began remotely installing the dreaded audio-snooping code. 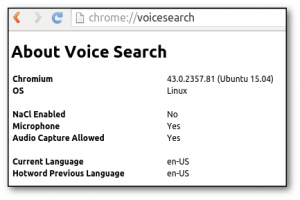 Officially the code discovered in Chromium was designed to support the new “OK, Google” feature implemented in Chrome, the feature allows the system users to respond when they talk to it. Now the problem is that this code is installed and activated without the user’s permission. The snooping feature is installed by default as part of Google’s Chrome browser, but privacy advocates are up in arms because the listening code is considered to be a “black box” code that is excluded from an open source audit process on the Chromium project. “We don’t know and can’t know what this black box does,” remarked Falkvinge. 1) Yes, we’re downloading and installing a wiretapping black-box to your computer. But we’re not actually activating it. We did take advantage of our position as trusted upstream to stealth-insert code into open-source software that installed this black box onto millions of computers, but we would never abuse the same trust in the same way to insert code that activates the eavesdropping-blackbox we already downloaded and installed onto your computer without your consent or knowledge. You can look at the code as it looks right now to see that the code doesn’t do this right now. 3) Yes, we deliberately hid this listening module from the users, but that’s because we consider this behavior to be part of the basic Google Chrome experience. We don’t want to show all modules that we install ourselves. Resuming, Chromium as the culprit and Google also blamed the Linux distribution Debian for downloading the non-open source component with Chromium automatically, rather than Google Chrome. Google remarked that Chromium is not a Google product and also blamed the Linux distribution Debian for downloading the non-open source component with Chromium automatically. 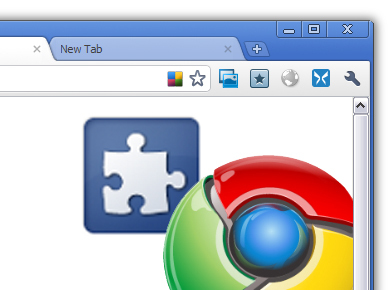 “The key here is that Chromium is not a Google product. We do not directly distribute it, or make any guarantees with respect to compliance with various open source policies,” Google developer mgiuca said. The developer Ofer Zelig provided an interesting testimony regarding the issue. The principal problem is that a growing number of similar functions will be included in modern devices to improve the user’s experience, SmartTV and our cars are already watching us and listening to our conversation, that’s the way privacy issues must be carefully approached. ScryptCC hacked, large amount of Bitcoin stolen. DO NOT DEPOSIT!